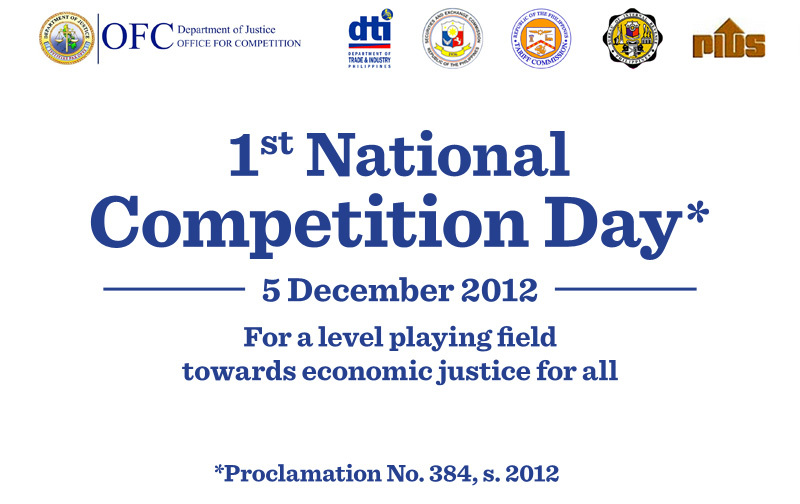 The Department of Justice – Office for Competition (DOJ-OFC) once again leads the nation in the annual observance of the National Competition Day (NCD) on 5 December 2015. The theme for the fourth (4th) NCD celebration is “Strengthening Stakeholder Engagement towards Competition Policy and Regulatory Reforms”, designed to recognize the vital role of various stakeholders in public, private, non-governmental organizations, and the academe in fostering competition culture and instituting reforms within the framework of advancing economic justice for all. 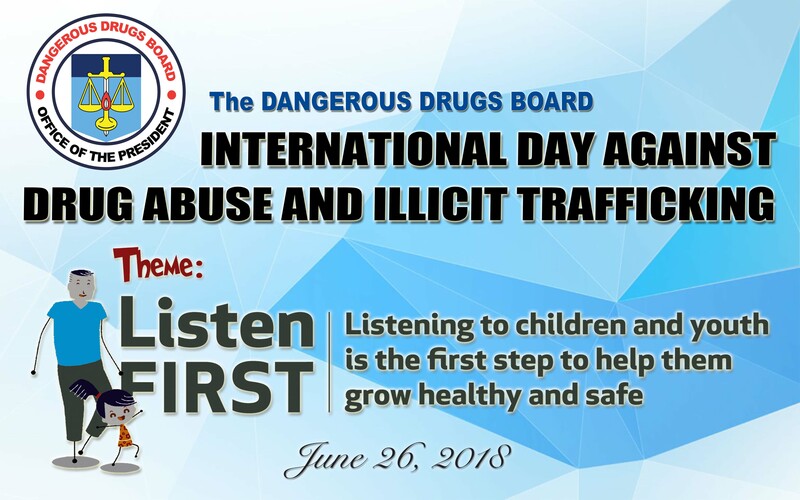 The NCD celebration aligns with World Competition Day as well as the ASEAN Experts Group on Competition (AEGC)’s advocacy for a culture of competition through commemorative panels that provide basic information on competition including enforcement and advocacy milestones. The report on garlic cartel released by the DOJ – OFC in 2014 is among the best practices highlighted in the panels developed by the ASEAN Member States and ASEAN Secretariat with assistance from the German Cooperation Agency or GIZ. The commemorative panels can be accessed via the image links below. 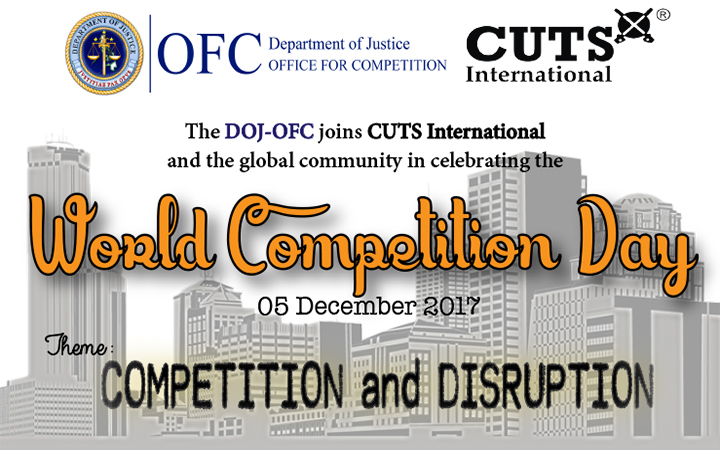 As part of its continuing commitment to advance economic justice through competition policy and law, the DOJ-OFC is currently implementing the project, Promoting Business Compliance with Competition Law, under the Competition Law Implementation Project (CLIP) of the ASEAN-Australia-New Zealand Free Trade Area (AANZFTA) Competition Committee. The project aims to introduce, familiarize, and instill a competition law compliance culture in the Philippine business community. 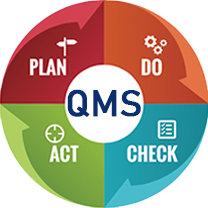 A series of training workshops will be conducted in three key locations: Cebu (22-23 September); Manila (28-29 September); and Davao (9-10 November 2015) to educate participants from various business groups and raise awareness. To disseminate useful information, the OFC has developed a brochure which covers sections on the benefits of compliance, elements of a good compliance program, and a discussion on salient provisions of the Philippine Competition Act and other competition-related laws. A copy of the brochure can be accessed here. 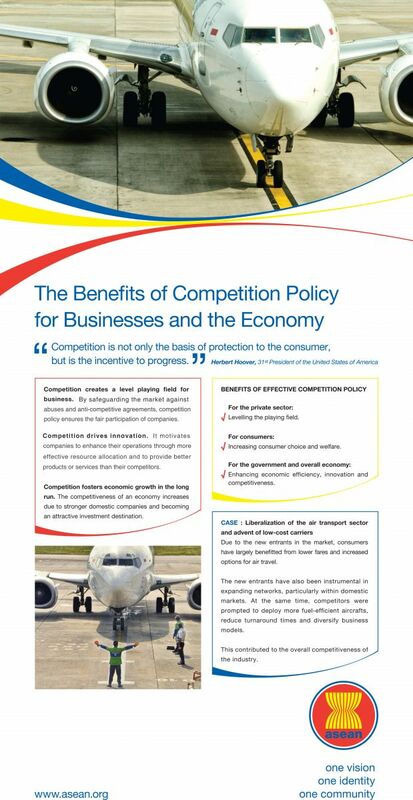 The Department of Justice - Office for Competition (DOJ-OFC) released a 27-page report on Airlines' Cancellation and Refund Policy dated 23 September 2015. The OFC is pleased to announce the release of the third issue of its quarterly newsletter. For comments and suggestions, please feel free to send us your feedback at [email protected]. The Office for Competition (OFC) released a 16-page report on the implementation of the Suggested Retail Price (SRP) mechanism dated 29 June 2015. 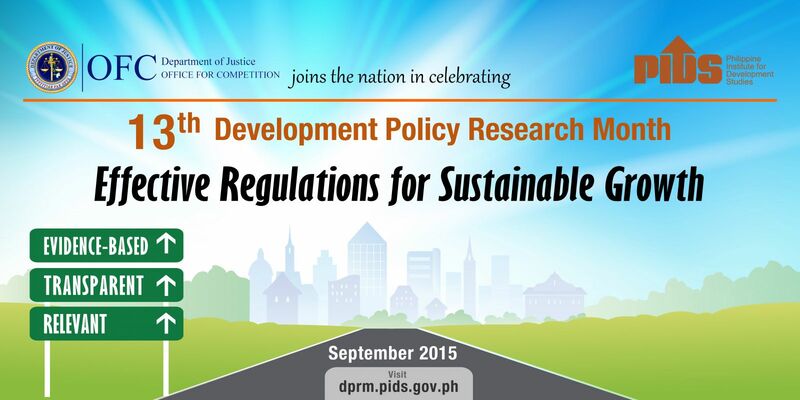 In its report, the OFC found that there are no adequate rules and guidelines on the imposition of SRP. Although the Department of Trade and Industry (DTI) may oblige manufacturers, distributors and retailers to provide advance notice for proposed price increases, its requirement to seek clearance for planned price increases negates the recommendatory nature of the SRP. 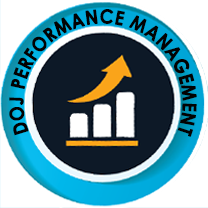 The Department of Justice (DOJ) - Office for Competition (OFC) issued its Case-Handling Procedure, which was culled from DOJ Department Circular No. 11 "Guidelines Governing the Implementation of Executive Order No. 45, s. 2011, Designating the Department of Justice as the Competition Authority" issued on 01 March 2013. The case-handling procedure, crafted as a simplified version of the Department Circular for clarity and ease of reference, introduces the steps undertaken by the OFC from commencement of an investigation such as upon receipt of a complaint or information concerning any anti-competitive behavior or agreement until an investigation report is either approved or disapproved by the Secretary. It is presented in three (3) parts: (a) introduction, (b) coverage, and (c) procedure. The OFC Case-Handling Procedure is grounded on the basic principles of fairness, accountability, and transparency geared towards providing aggrieved parties a means of redress, and benchmarked against regional and international best practices. The DOJ-Office for Competition (OFC) concluded the awarding for the winners of the Essay Writing Contest in Manila as the culmination of the contest conducted for the 3rd National Competition Day (NCD) under Proclamation No. 384, series of 2012 "Declaring 5 December of Every Year as National Competition Day." 5th – Roi Emmanuel D. Verastigue (Philippine Merchant Marine Academy). The winners received cash prizes and plaques of recognition while all students who submitted entries were given consolation prizes and certificates of merit. The essays were judged based on their relevance to the theme "Advancing Economic Justice through Competition Policy and Law" (70%) and form and style (30%) by a panel of judges composed of representatives from the Securities and Exchange Commission (SEC), Tariff Commission, Department of Trade and Industry (DTI), Japan International Cooperation Agency (JICA) and a competition expert from the European Union - Trade Related Technical Assistance (EU-TRTA) Project. 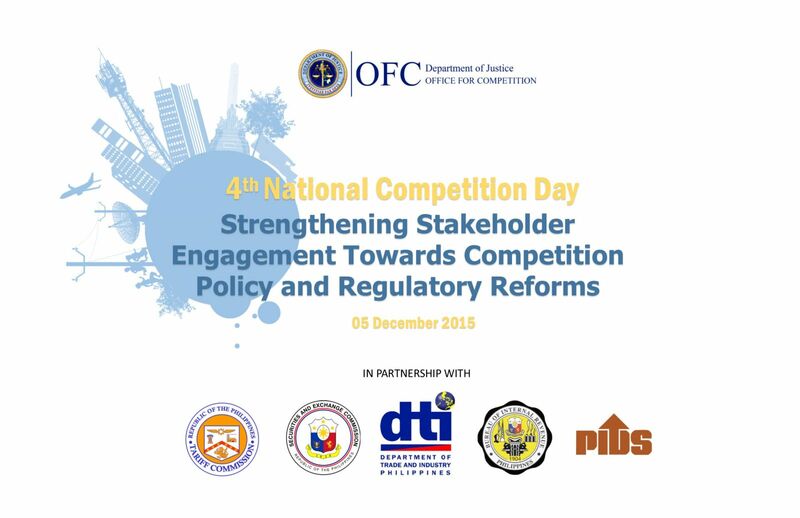 The celebration of the 4th National Competition Day this 2015 will feature another opportunity for the OFC’s partner institutions, the academe and other stakeholders to share expertise and experience for a more efficient and effective enforcement of competition policy and law (CPL) in the country. Other activities include focus group discussions with sector regulators in March, a workshop on bid-rigging/cartels in April, and a seminar for judges on advanced topics in CPL in May. The 2nd National Competition Conference which will serve as another platform for meaningful discussions on issues surrounding priority sectors is tentatively slated this 8th of December 2015. Announcements featuring OFC enforcement and advocacy initiatives will be posted online through this site. 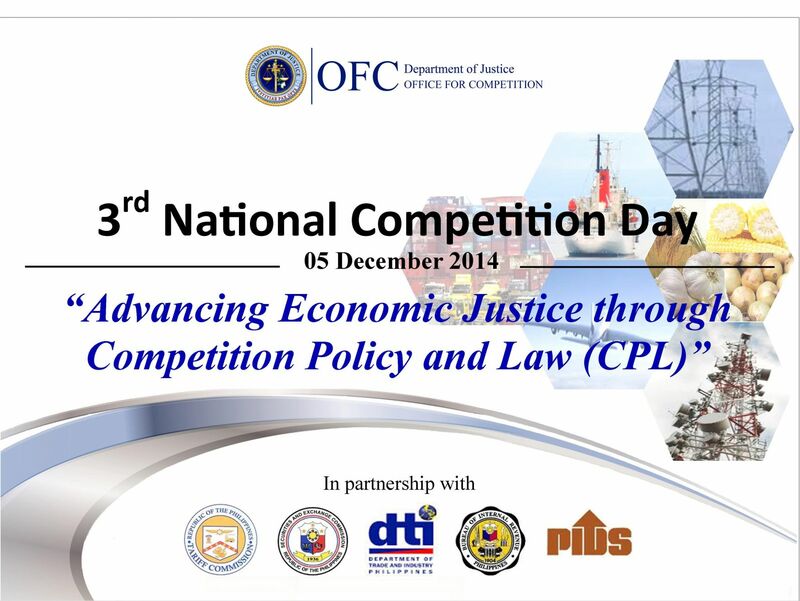 On 9 December 2014, the DOJ-Office for Competition held the very first National Competition Conference (NCC) with the theme, Advancing Economic Justice through Competition Policy and Law at the Philippine International Convention Center, Pasay City. 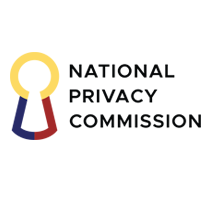 The 1st NCC is one of DOJ- OFC’s groundbreaking advocacy initiatives towards creating a culture of competition in the country. 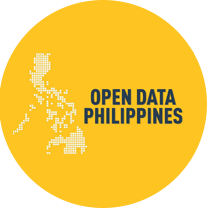 It gathered various stakeholders from the public and private sectors, the academe, and civil society organizations in the country. Below are the keynote address of His Excellency Benigno S. Aquino III and the welcome message of Justice Secretary Leila M. de Lima during the conference. Message of Secretary Leila M. De Lima for the National Competition Day. 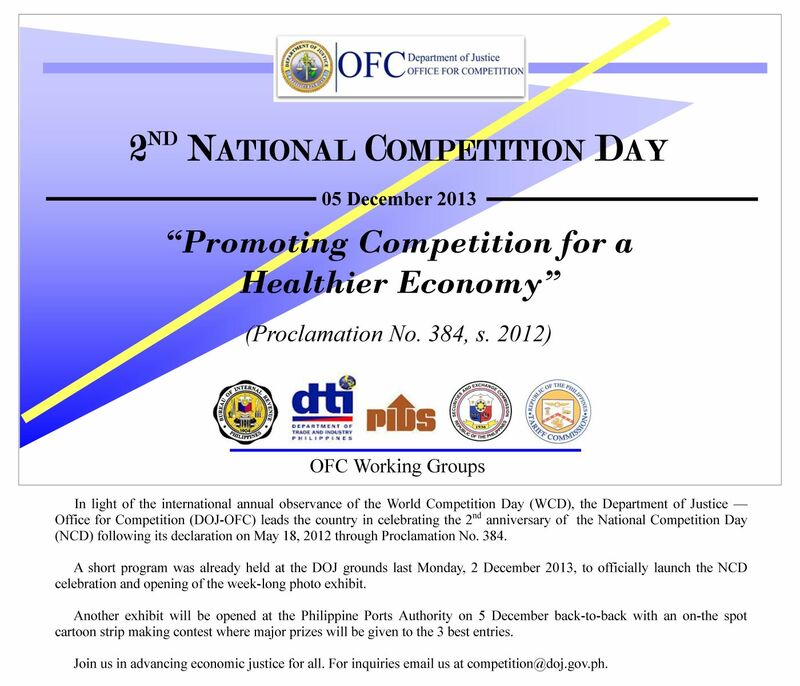 The Office for Competition (OFC) of the Department of Justice (DOJ) cordially invites everyone to join the annual observance of the National Competition Day (NCD) on 5 December 2014. 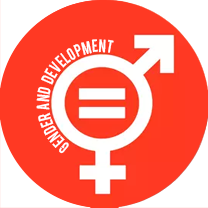 The NCD celebration coincides with the World Competition Day, which marks the adoption of the United Nations Set of Multilaterally Agreed Equitable Principles and Rules for the Control of Restrictive Business Practices on 5 December 1980. 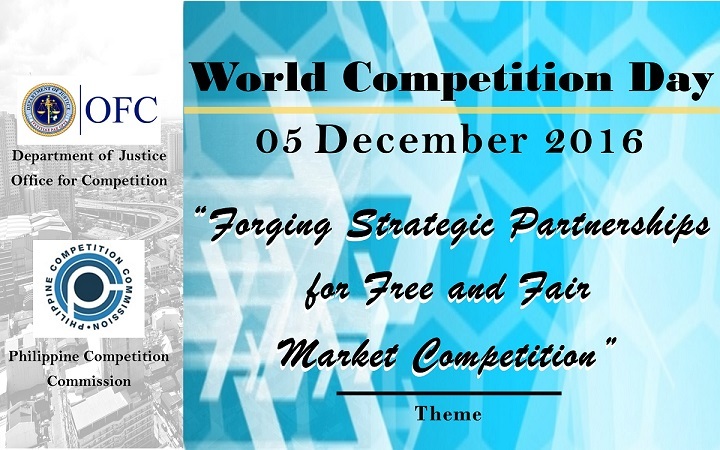 This year’s theme is Advancing Economic Justice through Competition Policy and Law (CPL) to highlight the importance of free and fair competition in economic development. In line with the celebration of the third (3rd) NCD, the OFC has organized an Essay Writing Contest among students from various schools nationwide. To know more about the contest mechanics, please click here. The Office for Competition (OFC) was created by Executive Order No. 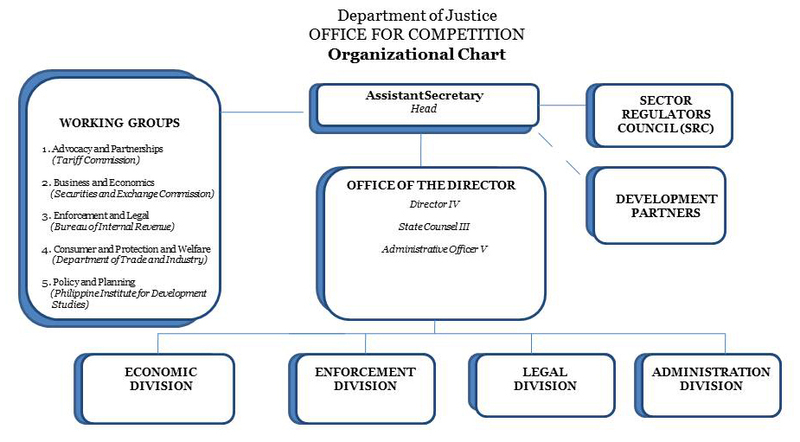 45, series of 2011, designating the Department of Justice (DOJ) as the country’s Competition Authority. It is responsible for the investigation and prosecution of cases involving violations of competition laws, enforcement of competition policies and laws to protect consumers, and supervision of competition in markets, among others. The OFC is composed of qualified legal and technical staff to effectively and efficiently pursue its mandate (see organizational chart). Below are current opportunities for employment in the OFC. 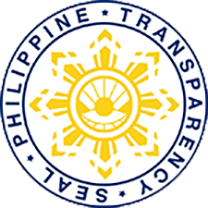 The Department of Justice – Office for Competition (OFC) supports the establishment of the ASEAN Economic Community (AEC) which aims to facilitate free movement of goods, services, investment and capital within and among ASEAN member states. In order to attain the objectives of the AEC, the ASEAN Experts Group on Competition (AEGC) was established in 2007 to serve as a regional forum for discussion and cooperation in competition policy and law (CPL). The OFC, through Assistant Secretary Geronimo L. Sy, served as Chair of the AEGC for 2013-2014. For more information about the work and projects of the AEGC, please see link to the AEGC website or click here. We thank everyone for the invaluable support. We signed up for the voluntary peer review in the context of specifically engaging an UNCTAD mechanism for up close, personal feel on how a UN multilateral instrument can actually work for individual countries especially on a very specialized topic as competition policy and law. DECLARING 5 DECEMBER OF EVERY YEAR AS "NATIONAL COMPETITION DAY"
The Department of Justice – Office for Competition (DOJ-OFC) successfully concluded the workshop entitled “Theory of Competition Law, Case Handling and Investigative Technique” at the Bohol Beach Club in Panglao Island, Bohol last March 6-10, 2012.
f. Promote international cooperation and strengthen Philippine trade relations with other countries, economies, and institutions in trade agreements. The Office shall be manned by such number of staff including legal and technical experts, consultants and resource persons to effectively and efficiently pursue its mandate. The Secretary of Justice shall designate the Chief/Head and members of the said Office. 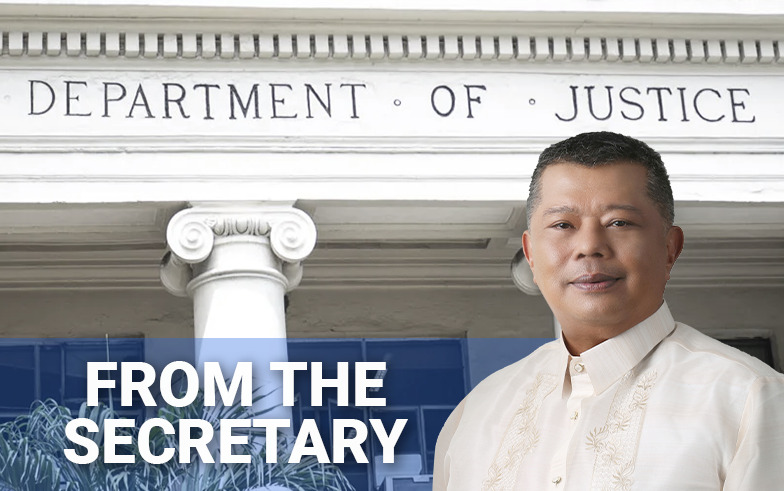 In the interest of the service and pursuant to the provisions of existing laws, Assistant Secretary GERONIMO L. SY, this Department, is hereby designated as Assistant Secretary-in-Charge for the Office for Competition (OFC) created under Executive Order No. 45 entitled "Designating the Department of Justice as the Competition Authority." The Office for Competition (OFC) may require the assistance and cooperation of relevant personnel in the performance of its functions. This Order supersedes D.O. No. 876 dated December 23, 2010, takes effect immediately and shall remain in force until further orders. "Tools and Techniques for Detection and Investigation of Anti-Competitive Practices with Focus on Cartels"
Good morning to all of you, colleagues, partners and friends in the quest for good governance reforms under our dear President. I thank you for the delightful invitation to your very timely event, “One. Global. Filipino, Driving Partnerships, Sharpening our Competitive Edge”. A just and peaceful society anchored on the principles of transparency, accountability, fairness and truth. Towards the effective, efficient and equitable administration of justice specifically economic justice that promotes a culture of competition and levels the playing field by providing guidance and enforcing competition policy and law.